All organisms, including plants and animals, oxidize glucose for energy. Often, this energy is used to convert ADP and phosphate into ATP. Peas undergo cell respiration during germination. Do peas undergo cell respiration before germination? Using your collected data, you will be able to answer the question regarding respiration and non-germinating peas. Using the CO2 Gas Sensor and O2 Gas Sensor, you will monitor the carbon dioxide produced and the oxygen consumed by peas during cell respiration. Both germinating and non-germinating peas will be tested. Additionally, cell respiration of germinating peas at two different temperatures will be investigated. Determine whether germinating peas and non-germinating peas respire. 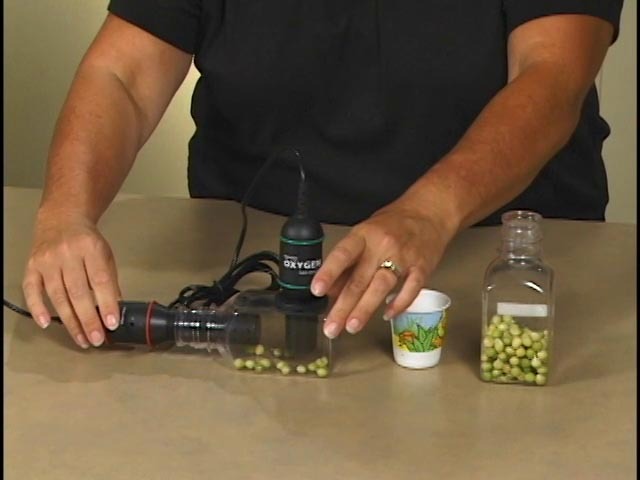 Compare the rates of cell respiration in germinating and non-germinating peas.